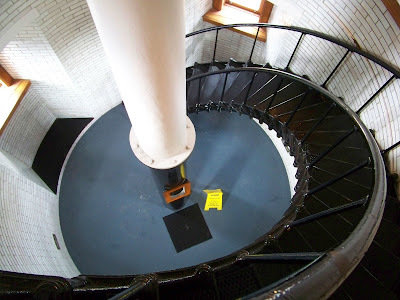 This week for Travel Tuesday I am going to take you to one of my favorite lighthouses I have visited, and it doesn't even have an ocean view. Although, in some ways it may look like an ocean. 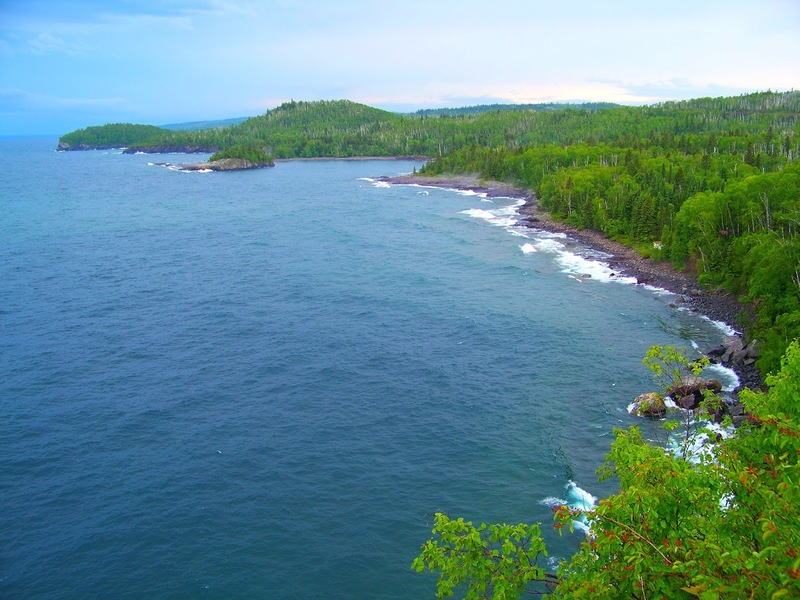 After all, Lake Superior is the largest of all the Great Lakes in North America. 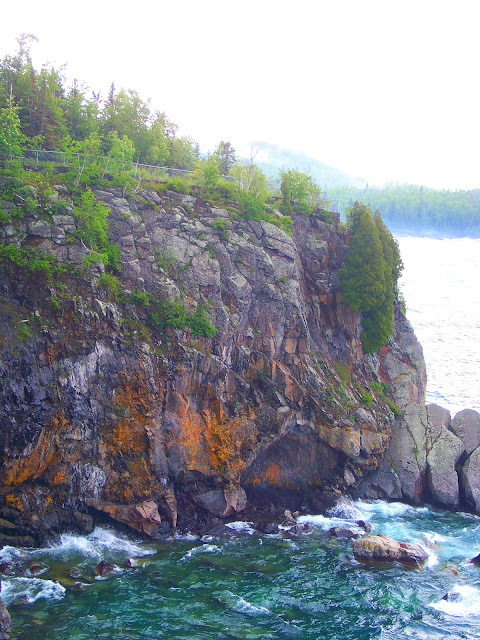 Just drive north from Duluth, Minnesota along the beautiful and scenic HWY 61. Its about a 50 minute to an hour drive depending on the day. 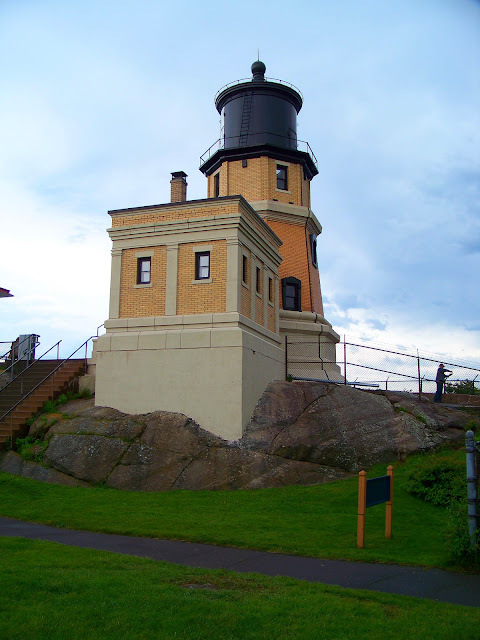 There is a visitors center you can stop in first, and yes they do charge to go up and visit the light house itself. 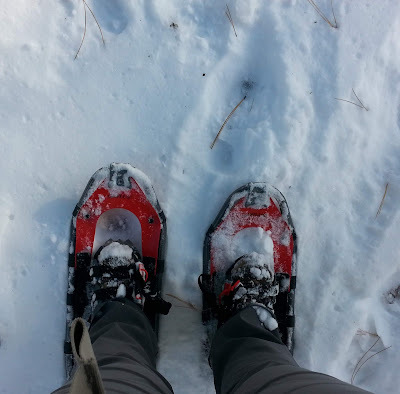 At the time I went it was $9 per adults, seniors and kids were less. If you enjoy history like I do, then take your time and enjoy walking around the visitors center and check out all the exhibits. After head out back and make your way up to the lighthouse. Yes, you do actually get to climb the winding staircase and make your way to the top. You can laugh, but as I did I couldn't help but think about the old Disney movie I saw as a child Pete's Dragon and the lighthouse in the movie. The views from the top are stunning. Depending on the day, and the time you go it may be a little foggy, or it could also be crystal blue. 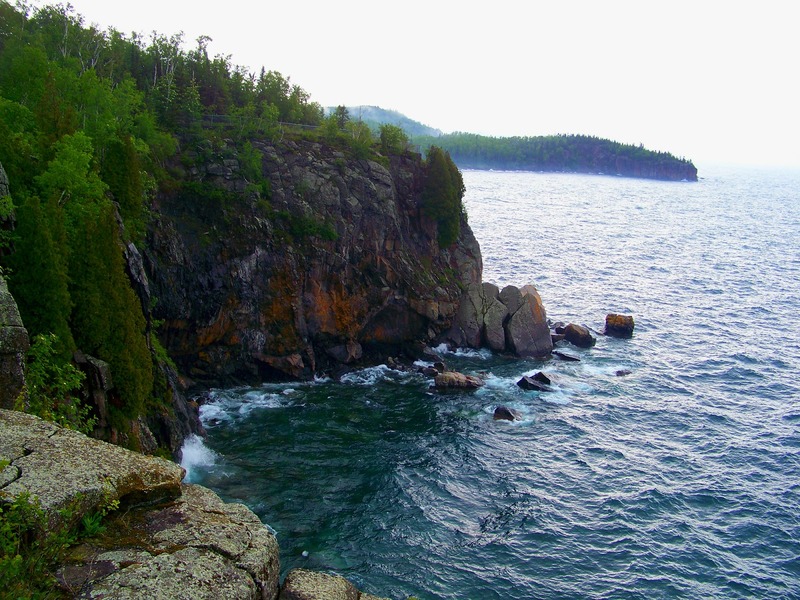 I never would have imagined the shores along Lake Superior would be so beautiful and have such large cliffs. 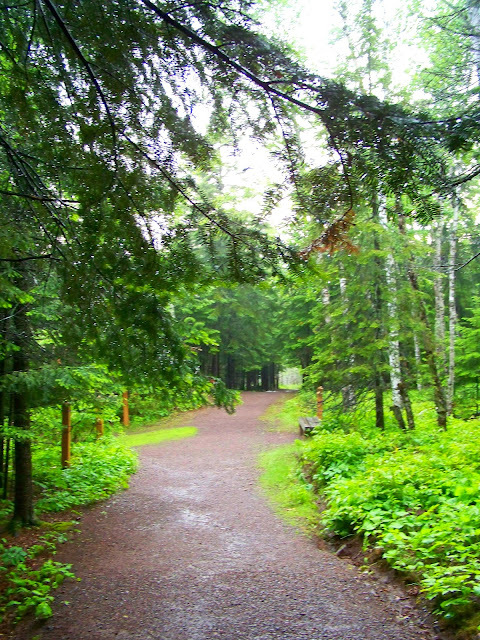 When you are done, enjoy the surrounding grounds and take a little hike. 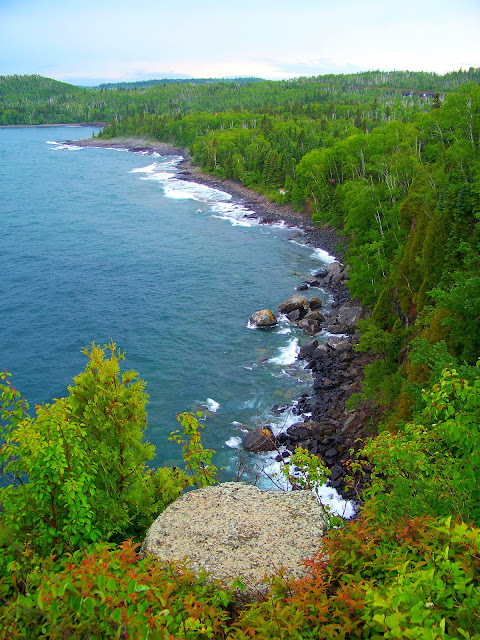 Just a quarter mile down, a trail and a lot of stairs will drop you down to some stunning views along the shorelines. There is so much more to do and see in this area, lots of waterfalls and hiking nearby and along HWY 61. 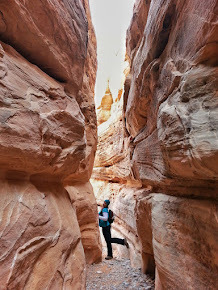 If your a runner and you need an excuse to run a marathon and do a little hiking and exploring in this area. 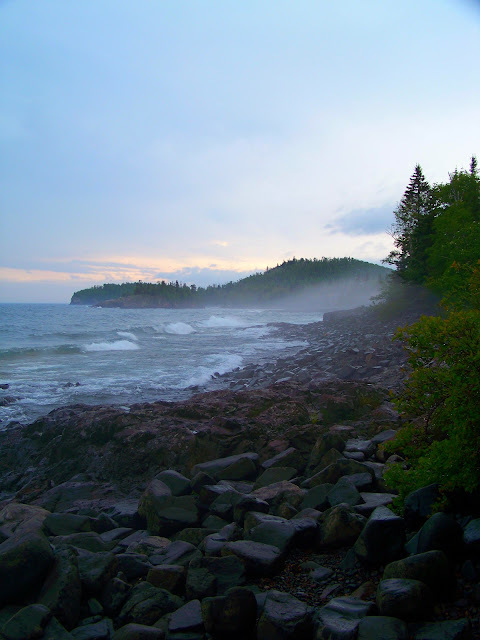 Enter the Grandma's Marathon in/near Duluth, Minnesota. 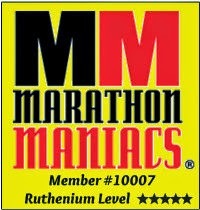 It's an awesome and scenic marathon, great support and a great location for the adventure seeker! 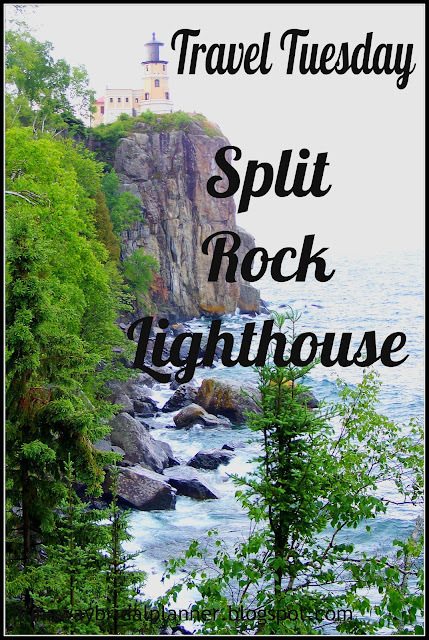 Have you been to Split Rock Lighthouse before? Have you run the Grandma's Marathon before? If you did, did you take a few extra days before or after to checkout the sights? 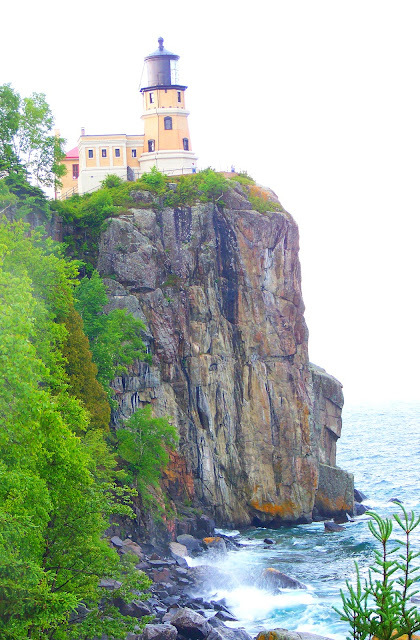 I don't know if I've been to that lighthouse, but I loved visiting the lake when we lived in Wisconsin. 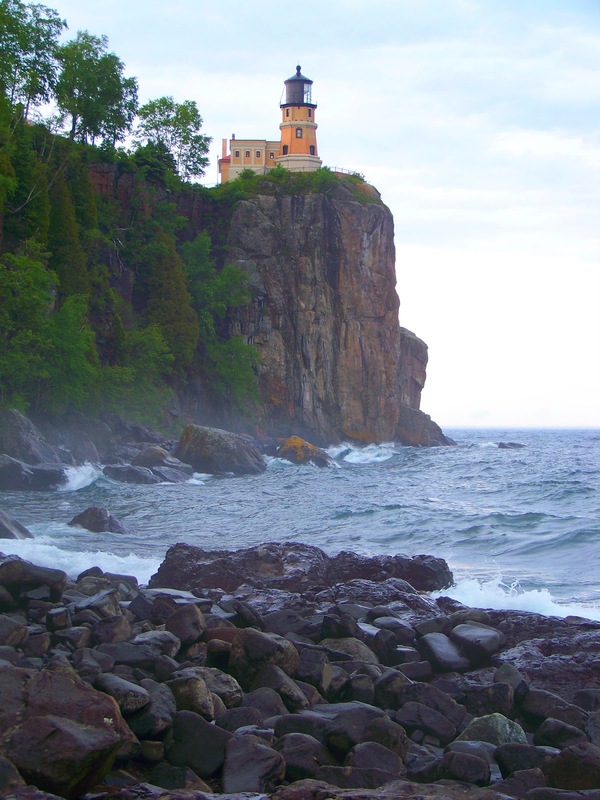 After hearing about all the shipwrecks, I know lighthouses are vital for the great lakes. I've been near some of the Wisconsin area lake parts, it's all beautiful country! Wow that is absolutely beautiful! 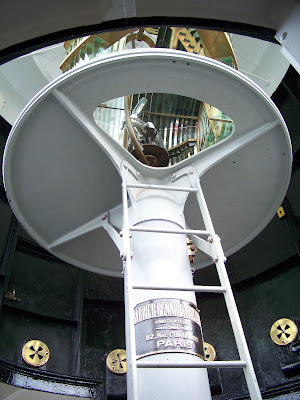 Can you believe i've never been to a lighthouse? It really is a beautiful part of the country! That's funny, you should. I have seen some along the east coast that are just in stunning locations. We seriously do live in a beautiful country! Enough to see new things all the time and never get bored! Its a beautiful area that is for sure!! I actually wrote my own HTML code for it because I couldn't find an easy one to just auto put into blogger. I am still tweaking it a little But I would be happy to share, just email if your interested. How gorgeous! I've never been to this area of the country before! Wow, that is gorgeous!!! I love lighthouses. 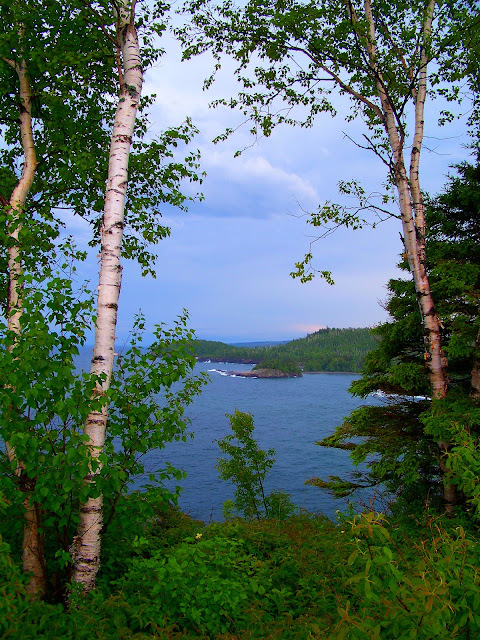 Have you been up to Maine? They have some amazing ones up there! It's a beautiful part of the country if you are ever near the area it's worth checking out!